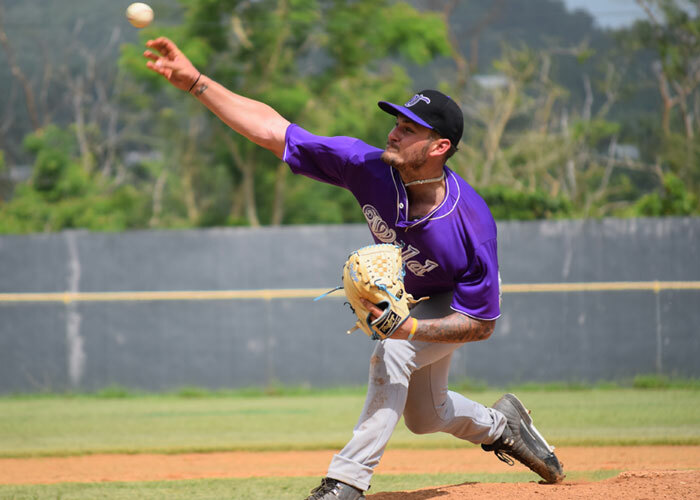 RINCON, PR – New Hampshire Wild Ace has been moved to the York Revolution of the Atlantic League and is on his way from Puerto Rico to York to report with the team today by 2pm. Matthew Vogel impressed early on in the season as the Leagues strikeout leader and is now on his way to a level most guys would never get a shot to play in. Vogel is set to start for the Revolution on Saturday pending a physical upon arrival today in York. The Right hander was released by the Tampa Bay Rays and was provided and leaned on the Empire League system to help him get on a different route back to the big show. The New Hampshire Wild will be returning home next week and will look to replace Vogels spot by then.